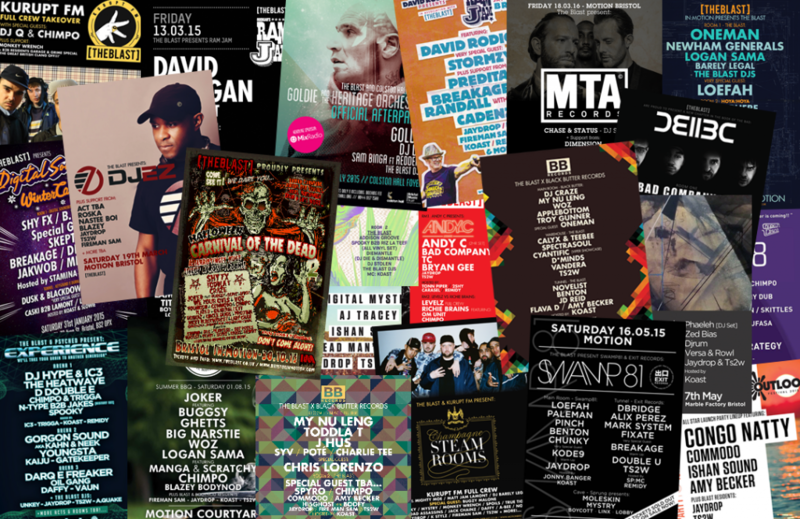 It might seem like a madness nowadays, but not that long ago boring single genre events were the accepted norm (with the possible exception of massive festivals and some free parties). Music fans were generally tribal and it was almost unheard of for a promoter to offer the opportunity to dance to a whole range of different genres on one night all under one roof… Sound boring? Yeah we thought so too. 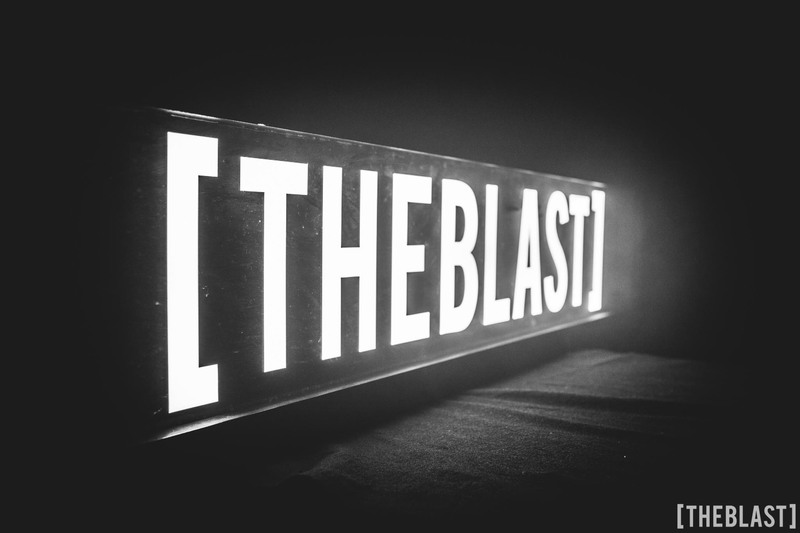 At some undisclosed point in time, three guys met up somewhere in Bristol, and after a few too many drinks they got a bit shouty and eventually decided they were bored of this narrow minded approach and that it was time for a change… The Blast was born. Founding member of The Blast and one of the three original Blast DJs alongside Dubious and Tom Blast. TS2W pushes the envelope of 160-180bpm jungle, D&B, and juke inspired sounds as well as dabbling with Dubstep, Grime and more. JayDrop aka Jay Jennings is a 23 year old DJ / Producer based in Bristol UK. From his early Dubstep productions 4 years ago to his more recent 170 tunes Jay has continually gained support from renowned artists across the spectrum. He’s released on both UK and European labels, graced the main stage at Fabric and played at some of the UK’s biggest club nights. Early support for Jaydrop came from the Dubstep / Grime pioneer Plastician on his Rinse FM show. This followed by the Tempa released Dubstep Allstars compilation which featured 2 JayDrop tracks entitled Blind Run and That’s How It Is. 2014 saw an EP release on Swiss label Demand Records as Jay began to speed up his production tempo to 170. Further releases that year came on Alchemic Breaks as well as Skutta Records alongside Mystic State. These gained him support from the likes of Skeptical, Loxy, Icicle, Eastcolours, Hydro and Ruffhouse, but it’s the support of Doc Scott that will see Jay release on his legendary 31 Records imprint in 2015. Resident motor mouth Koast has been smashing up dances for over a decade now, taking in garage, dubstep, hip hop and a little bit of everything else in between… A versatile MC who is equally comfortable on stage or in the studio (alongside his Central Spillz crew), he has performed everywhere from Glastonbury to Croatia, Belgium to Bristol, and London to Manchester, gracing the stage at nights such as STB, Run, Basslaced & Detonate along the way. Fire Man Sam has been around the Bristol music scene for many many years. A versatile quick mixing DJ who has built a reputation as one of Bristols maddest Bashment selectors, throwing Dancehall, Reggae and Soca into the mix and connecting the dots to UK Bass music such as Funky, Grime and Garage. As well as STB he holds down a residency at Hot Wuk in Bristol, runs his own Rave/Soundsystem/Blog ‘Reload Sound’ and can be found playing all over the place. When he’s not DJing FMS also writes about Bashment, Funky and Grime for Trap Magazine and recently produced a Dubstep/Grime collaboration with H.E.N.C.H’s Minus called ‘BCN’, which gained support from the likes of Skream, Mista Jam, N-Type, Mensah and many more. Rarely seen behind the decks these days Tom Blast is a Founding member of The Blast and one of the three original Blast DJs alongside Dubious and TS2W. With his roots firmly in Jungle & D&B Tom Blast was completely converted to Dubstep around 2006 before eventually re-embracing DNB and 160-180bpm bass music in more recent years. Nowadays his DJ sets can take in everything from Golden era Jungle to Garage, Grime, Dubstep, Juke and everything in between.